Learn how to play Richard Thompson – Dimming of the Day note-for-note on guitar. Difficulty level: Advanced. Actually nothing here is especially difficult to play, but it merits the advanced label because the fretting hand fingers are constantly making new shapes. 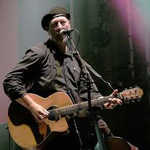 Richard Thompson almost never holds a single chord shape for more than a bar. Playing Style: Fingerpicked. The version taught is the one on the Acoustic Classics album. RT plays with a pick and fingers (hybrid picking) but the song is taught using thumb and fingers. The complete file contains 3 lesson videos, 3 performance play thru videos, full tabs, chords and lyrics. You’ll receive a link to download the lesson which will download as a zip file of 476 Mb containing all the lesson content. How about “Crawl Back”? Great song. Possible lesson? I agree totally with Nick above! Galway to Graceland is great!! I’d love to see you do a lesson for it. I’ll be tackling this one over Christmas though!! Great lesson- I’ll be buying it. Perhaps someday you’ll do another RT fave of mine- Galway to Graceland- fingers crossed for that great lyrical tune! Thank you for this and for doing it so well! RT is one of the reasons I picked up a guitar, and there are so few proper lessons. I (and I imagine others) would love to see 1952 Vincent and Beeswing at some point. Thanks Luke. I’ll be doing those two in the future for sure.